The line-up for Kaleidoscope 2019 has been revealed. Ireland's first family camping festival takes place fron June 28th-30th at Russborough House in Blessington. 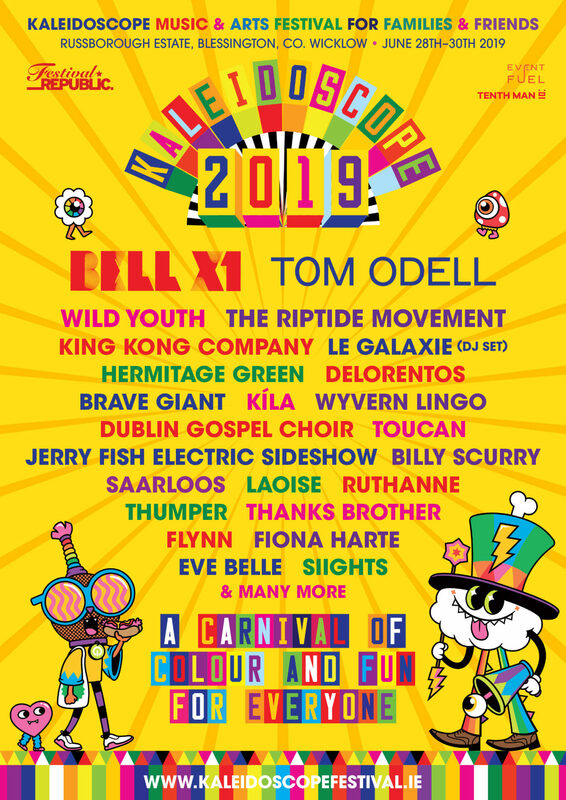 Bell X1, Tom Odell, Wild Youth, The Riptide Movement, King Kong Company and Le Galaxie (DJ set) will headline the new festival from the team behind Electric Picnic. Hermitage Green, Delorentos, Brave Giant, Kíla and Wyvern Lingo will also perform across the weekend. Tickets go one sale on Tuesday, April 16th via Ticketmaster. An Early Bird offer for a family of four for only €105.75 is valid up until 1st May 2019. Check out the full list of ticket options and prices here. Born out of Electric Picnic, Kaleidoscope "harnesses the magic of Picnic’s entertainment and family campsites". 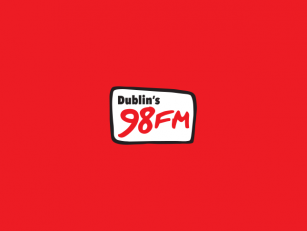 Organisers have tailored the overall festival experience to the desires of the festival-going family and bringing the essence of Electric Picnic to a brand-new venue. Kaleidoscope offers specific programs for ‘smallies’, for 4-8, 8-12 and 12-16 year olds, together with all the festival favourites for adults of all ages. 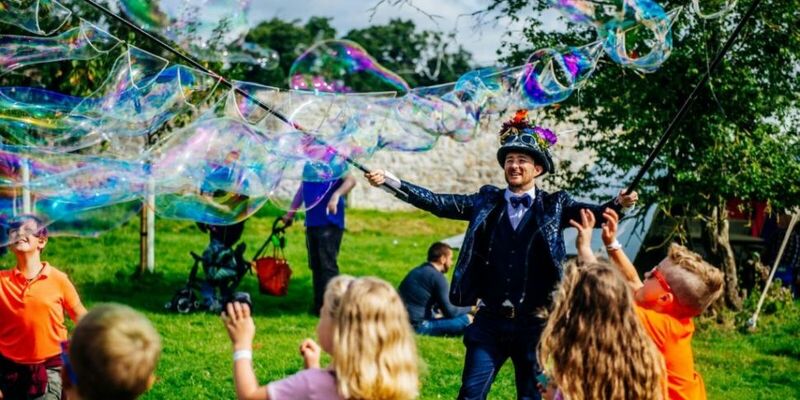 Children and teen programmes will take place within Russborough’s walled garden and an utterly enchanting fairy fort located on the forest’s edge. The programme includes Fighting Words, Science Gallery and herpetological hobbyist Collie Ennis. The festival will also feature a Baby Disco, urban and adventure sports, water sports and morning runs. Meanwhile, the wellness program includes meditation, Tai Chi and yoga. Massage treatments, hot tubs and seaweed baths will make up the woodland spa. The Scrumdiddlyumptious Festival of Food is a feast of fun for everyone! And all of this in addition to the arts festival favourites of theatre, spoken word, visual art, circus, cinema, comedy and music.